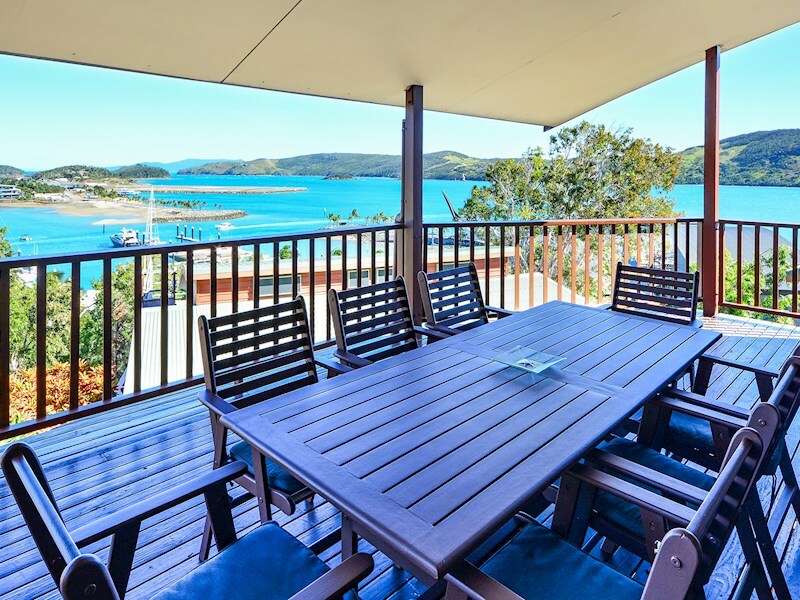 Three bedroom villa with fantastic views over the Marina. 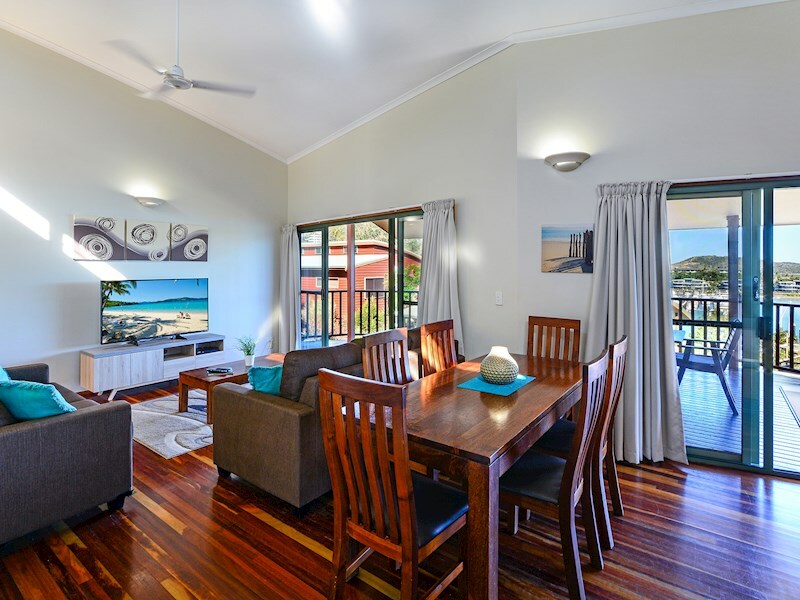 This stylish, freestanding three bedroom villa offers all of the comforts of home - and a spectacular location. 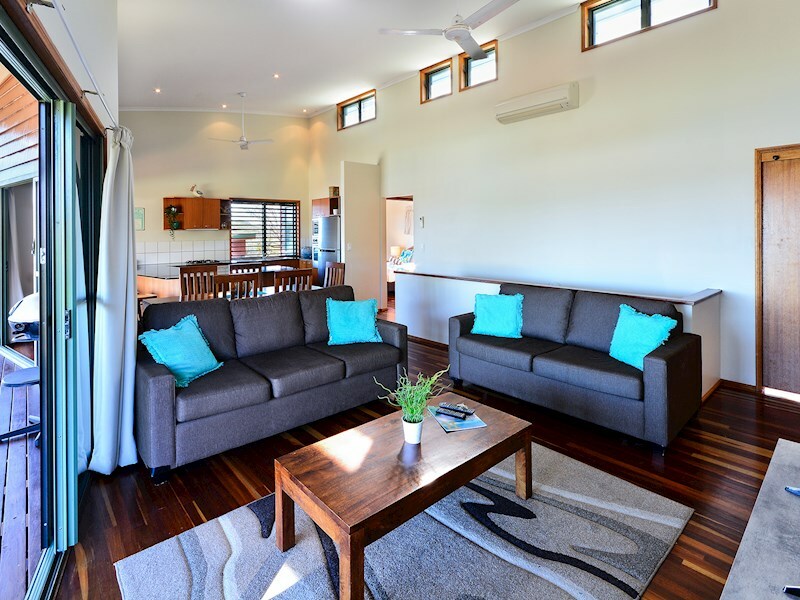 Air-conditioned throughout, and with a fully-equipped kitchen, it's ideal for families or groups. 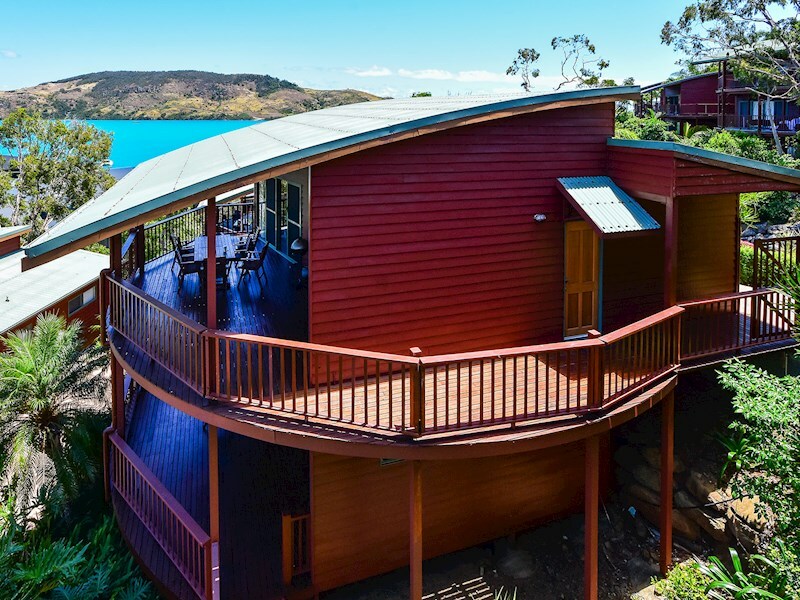 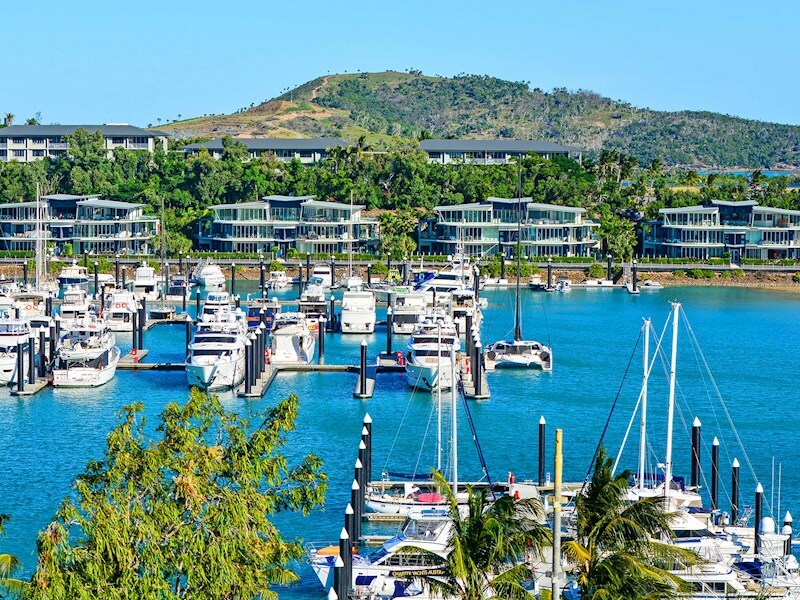 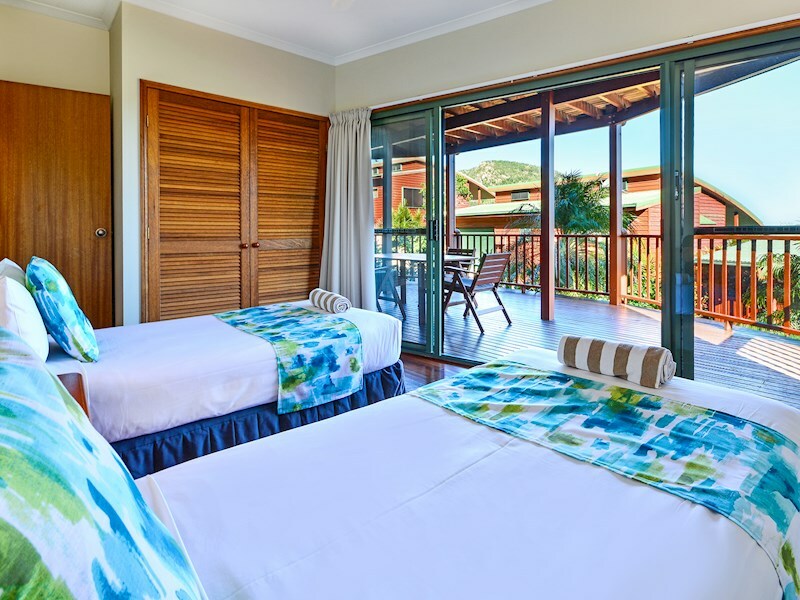 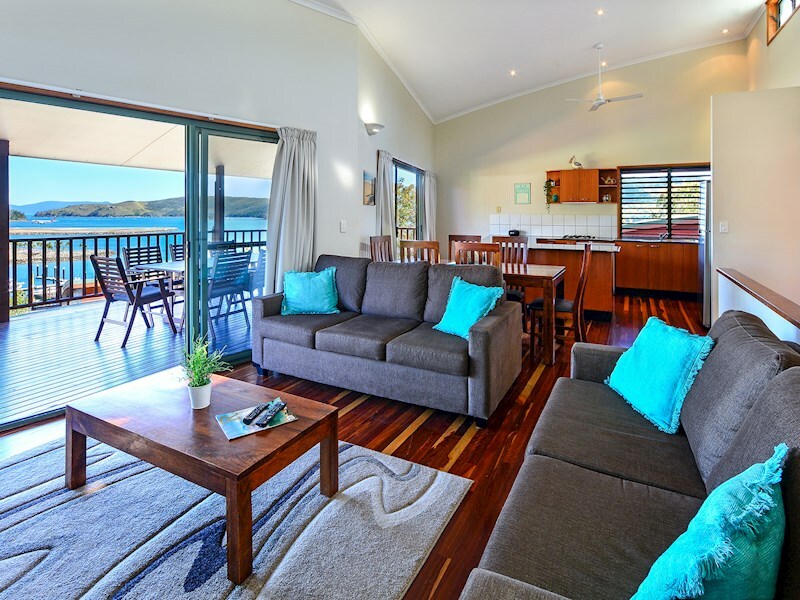 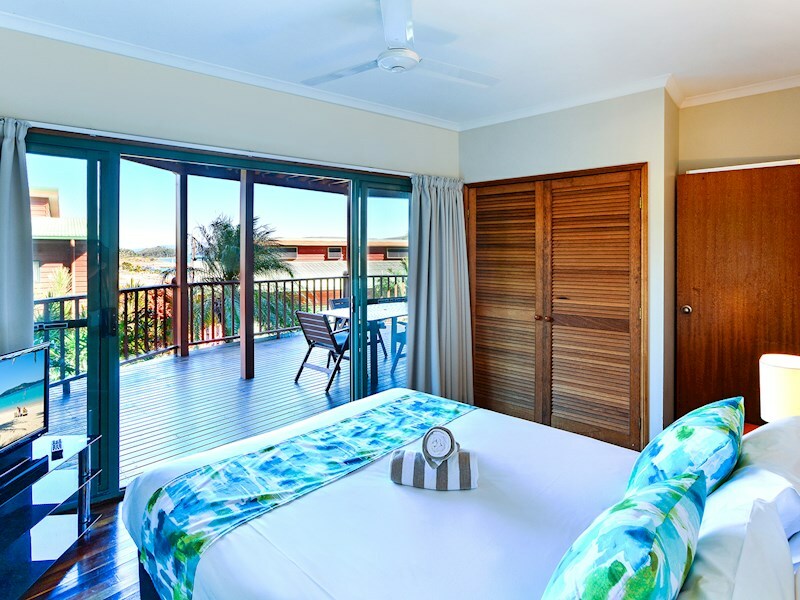 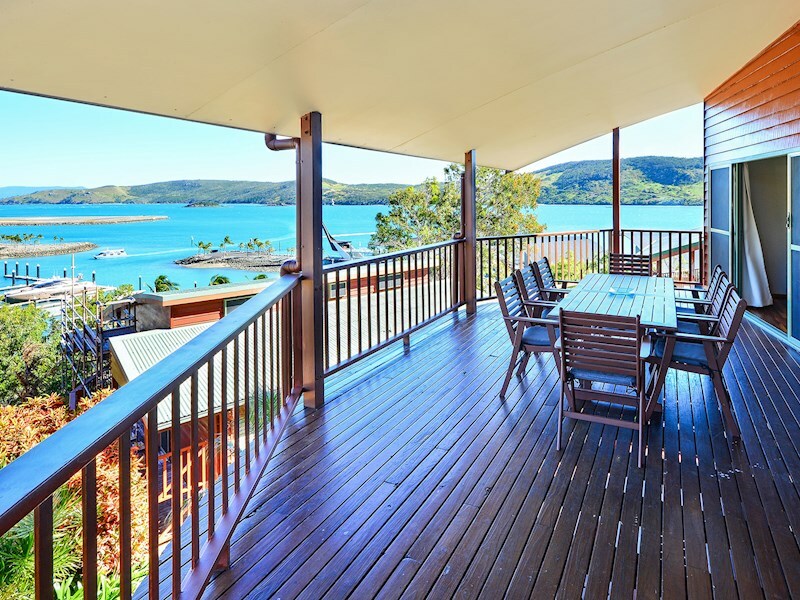 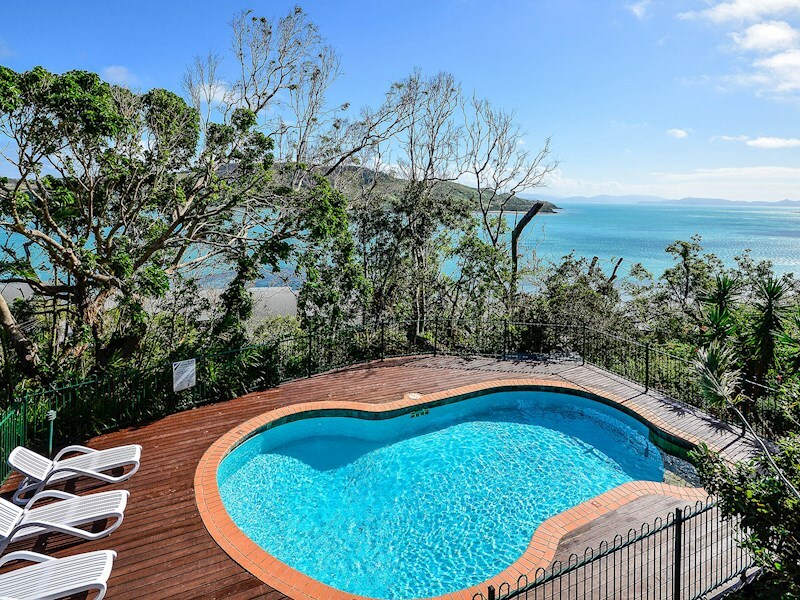 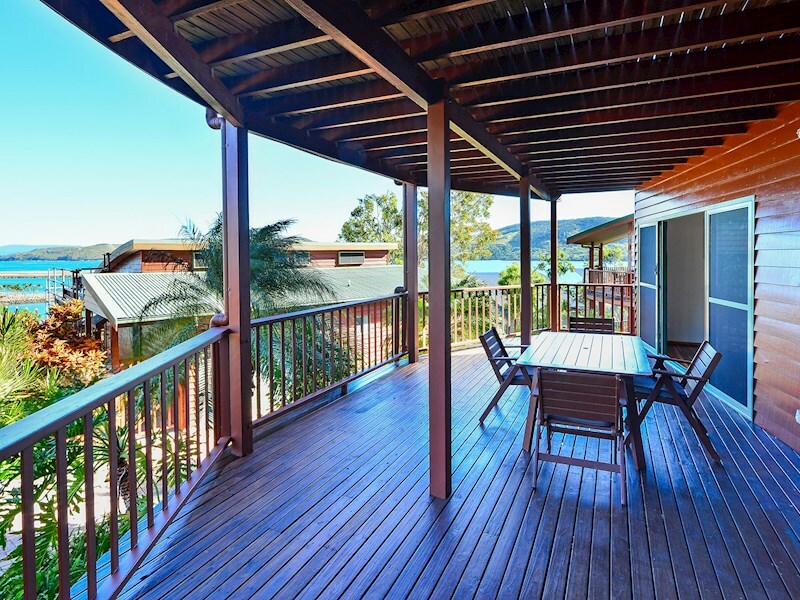 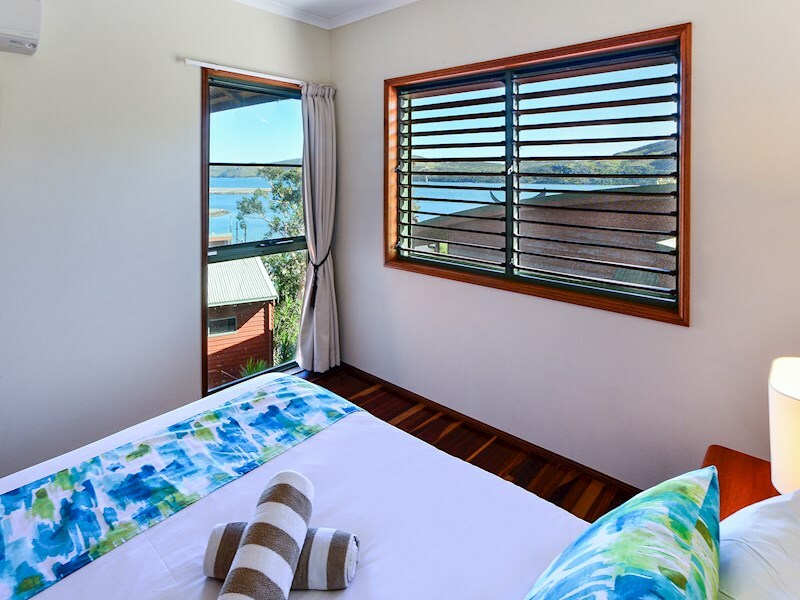 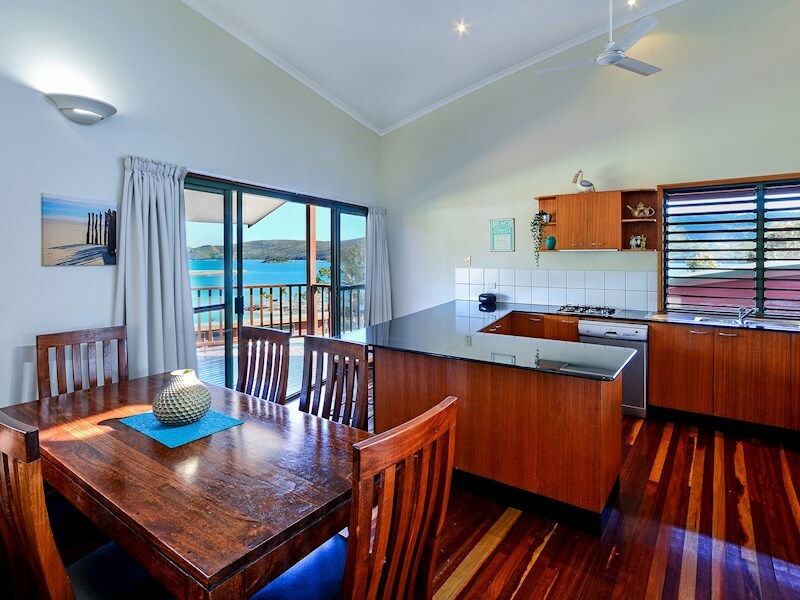 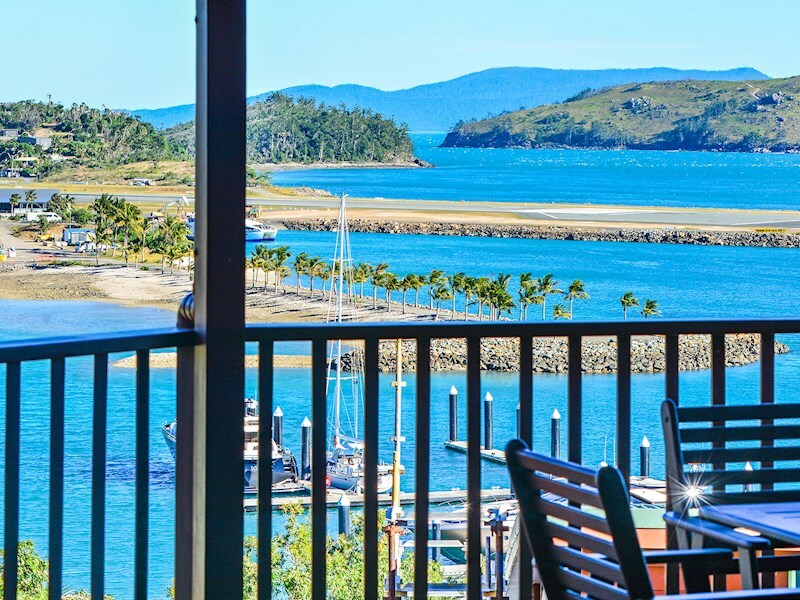 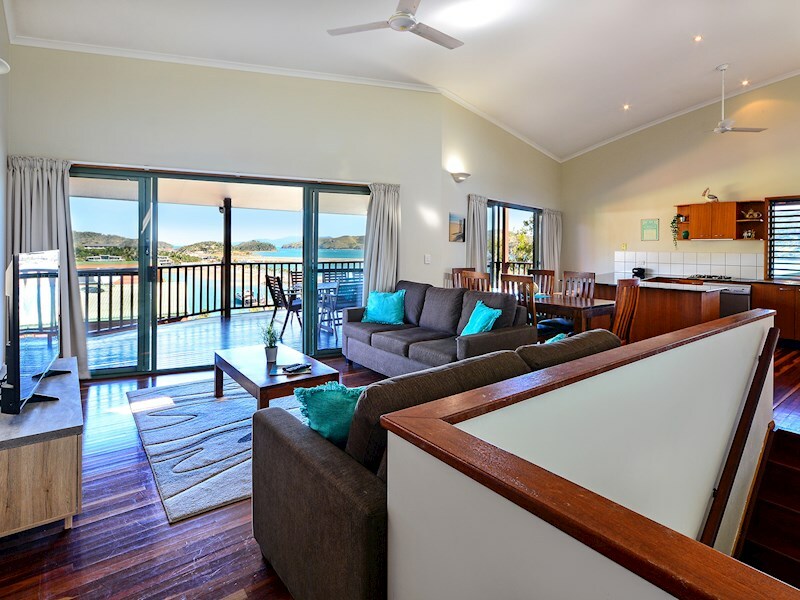 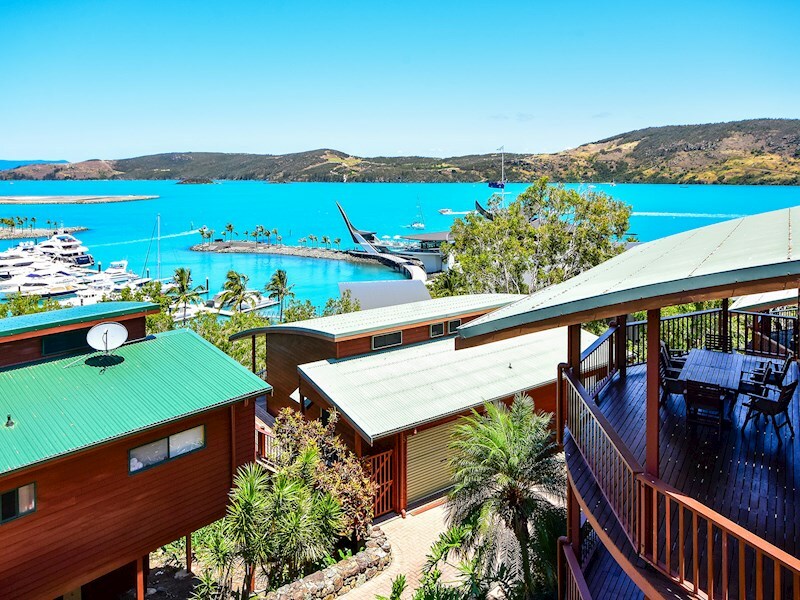 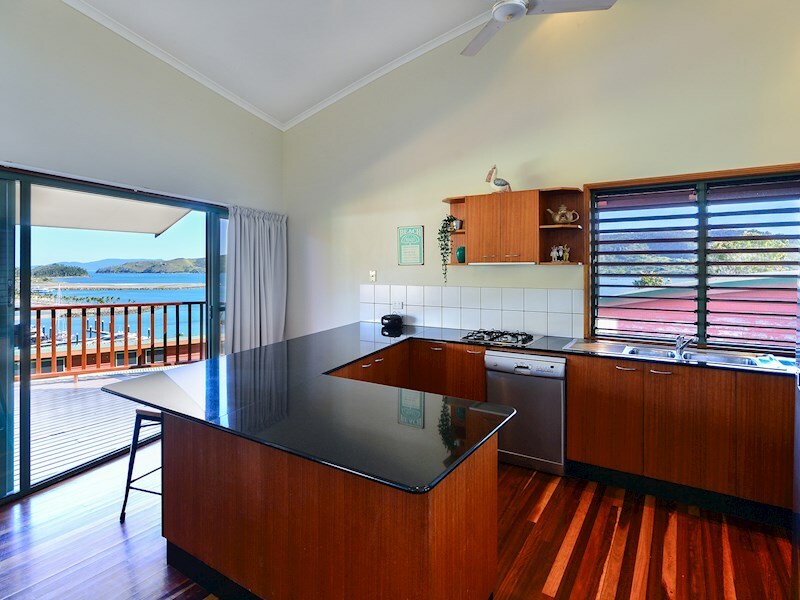 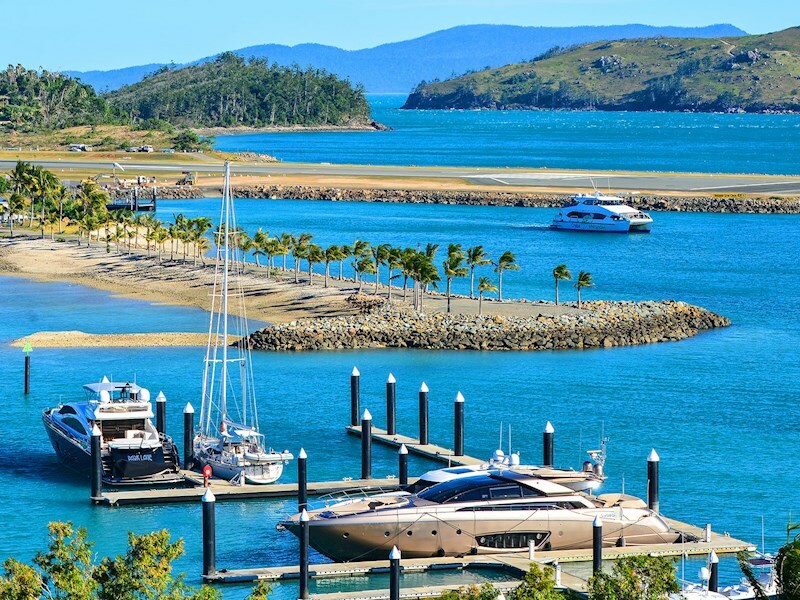 This villa looks over the Whitsunday Passage across to the Hamilton Island Golf Course on Dent Island. 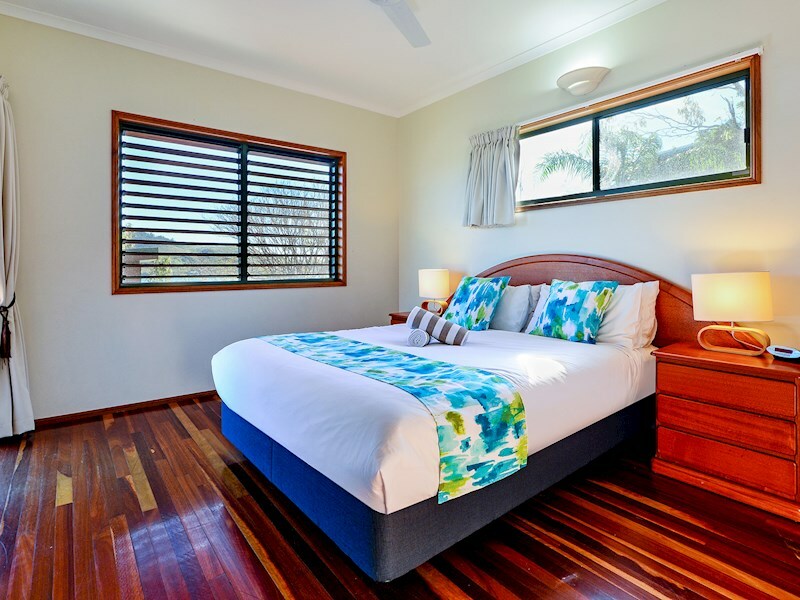 The master bedroom is upstairs and includes a queen bed. 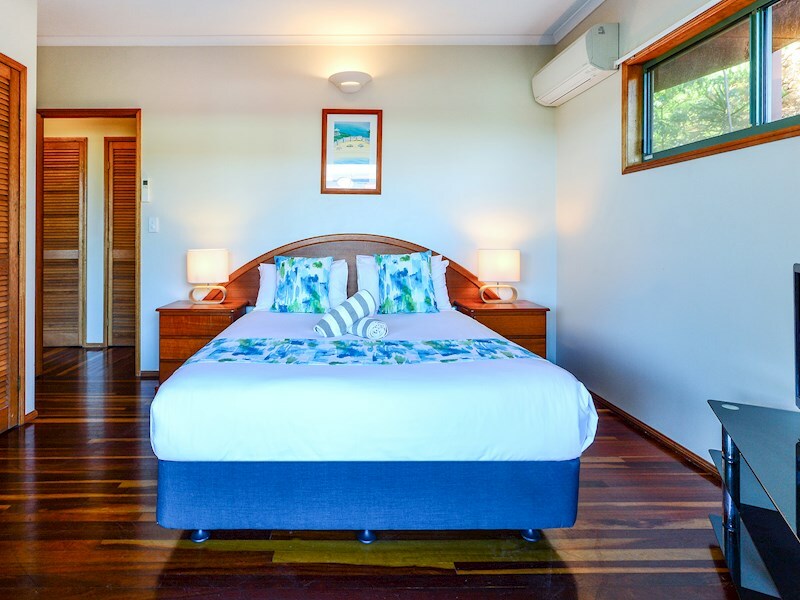 Downstairs, there is a bedroom with one queen bed, and another with two single beds. 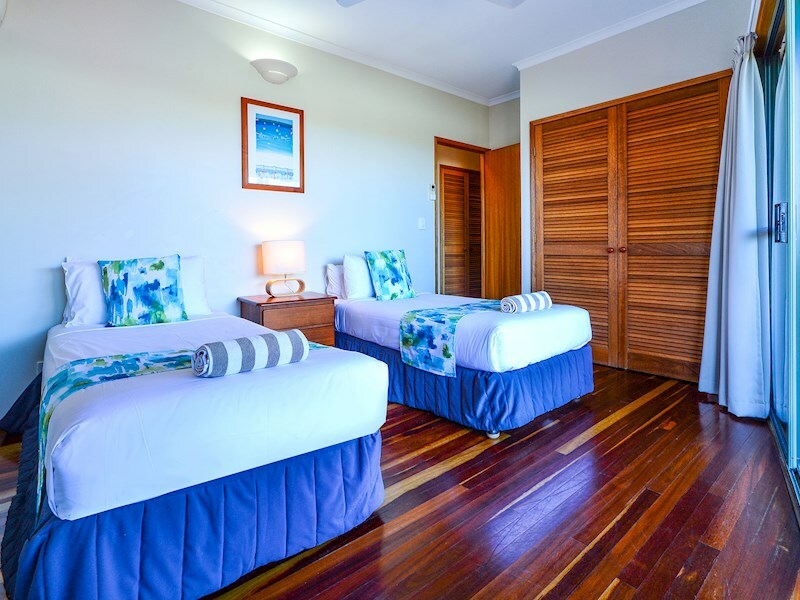 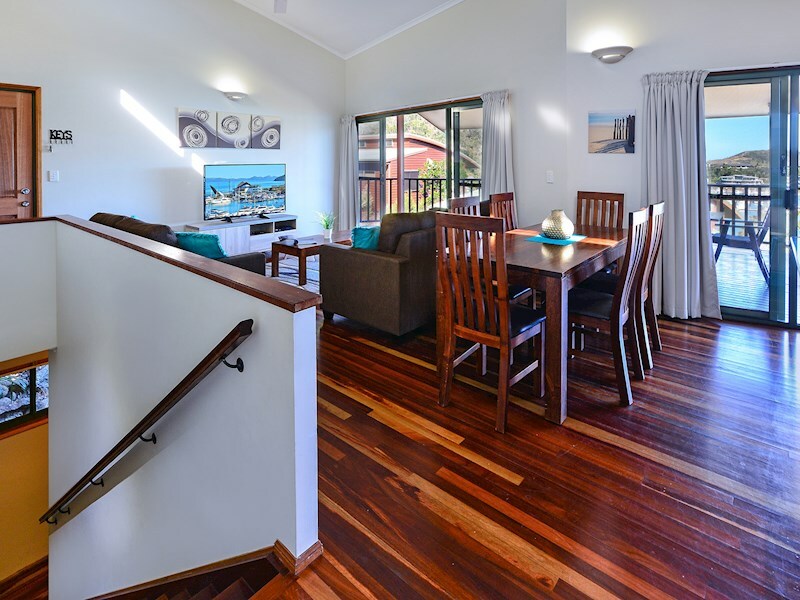 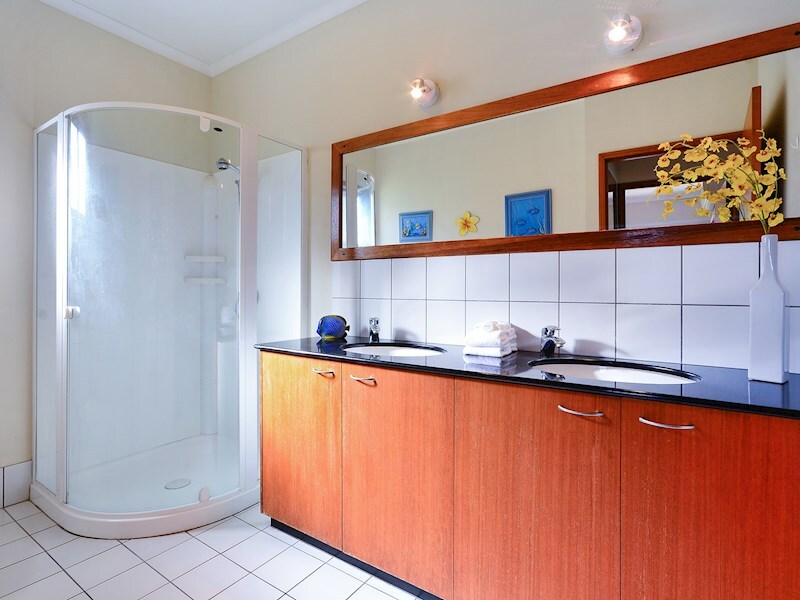 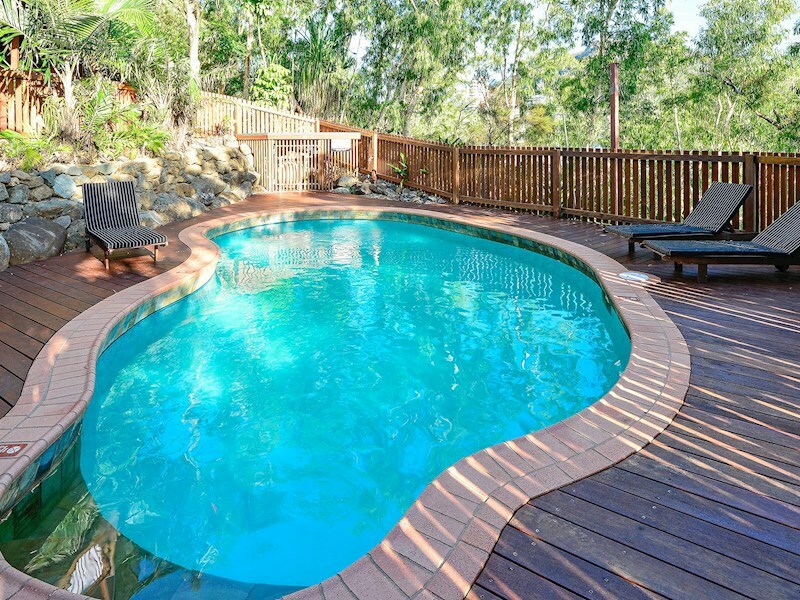 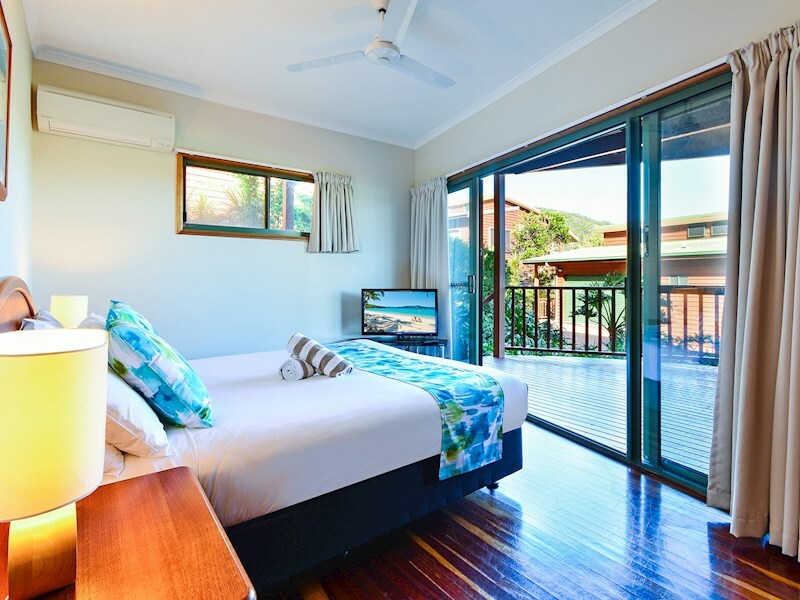 The apartment is just a short distance to the Casuarina Cove shared pool. 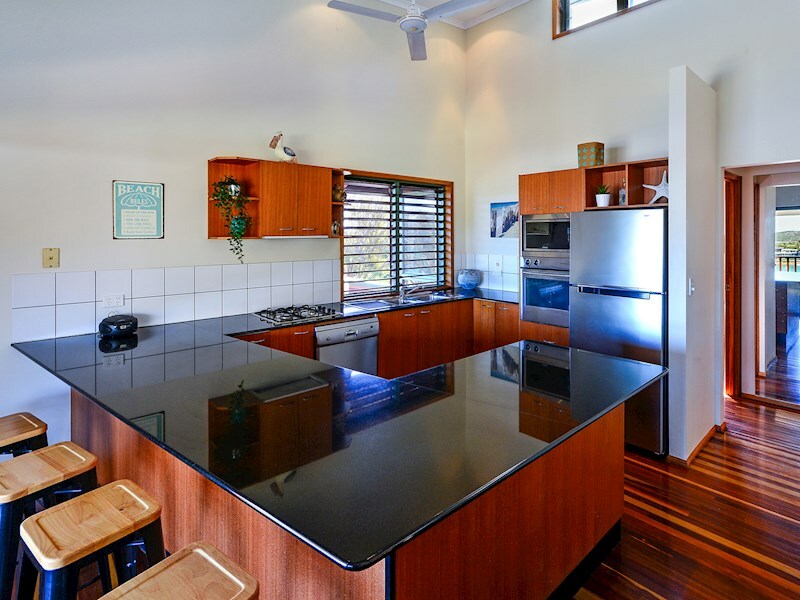 The villa features a fully-equipped kitchen with dishwasher, stove, microwave, oven and all utensils, crockery and cutlery.